Potatoes are best stored in a dry, dark and cool location with an average temperature between 7° and 10° Celsius. 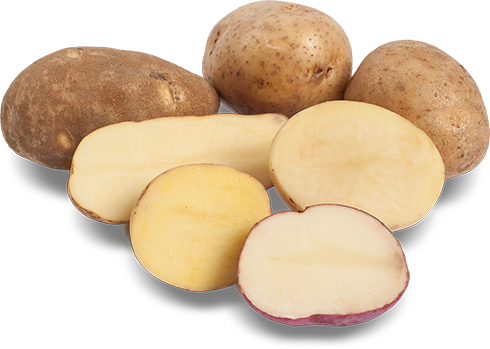 Never store raw potatoes in the refrigerator, the colder temperature will turn the potato’s starches to sugar and produce an off taste. Leaving potatoes at room temperature for a few days can reverse this effect. Store potatoes alone, if stored too close together gases from other vegetables like onions will decompose potatoes more quickly.